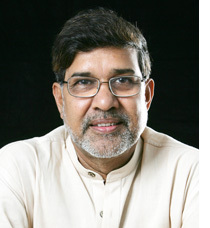 Kailash Satyarthi (b. India, January 11, 1954), Nobel Peace Laureate 2014 and Honorary President of Global March Against Child Labour, is world’s foremost leader in abolishing child and bonded labour. As the founder of Bachpan Bachao Andolan (BBA), he has rescued thousands of bonded and child labourers. He continues to campaign against child trafficking and slavery in spite of being brutally attacked several times. He has organised and led several mass awareness marches like the 80,000 km long unprecedented Global March Against Child Labour across 103 countries in 1998 and most recently the South Asian March Against Child Trafficking in 2007 to raise awareness on the issue of child trafficking and forced labour. Kailash has played the most significant role in linking the fight against child labour with the efforts for achieving ‘Education for All’. He has been the pioneer advocate of the triangular paradigm on child labour, poverty and illiteracy which has now been acknowledged and established world over. To bring consumers into the fight against child labour and promote ethical trade practices, he initiated and led the RugMark earlier in 1994, the first social labelling mechanism for child labour free carpets. 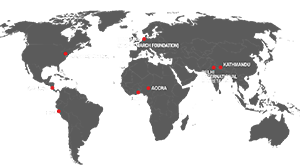 Since then Kailash has been involved in promoting CSR initiatives in cocoa farming, garment and sporting goods sector. He is the founding President of Global Campaign for Education. As one of the rare civil society leaders Kailash has addressed the United Nations General Assembly, International Labour Conference, UN Human Rights Commission, UNESCO, World Economic Forum, etc. and has been invited to several Parliamentary Hearings and Committees in USA, Germany and UK in the recent past. As an advocate for quality and meaningful education, Kailash Satyarthi has addressed some of the biggest worldwide congregations of Workers and Teachers Congresses, Christian Assembly, Students Conferences, etc. as a keynote speaker on the issue of child labour and education. He has been honoured by the Former US President Bill Clinton in Washington for featuring in Kerry Kennedy’s Book ‘Speak Truth to Power’, where his life and work featured among the top 50 human rights defenders in the world including Nobel Laureates Archbishop Desmond Tutu, Elie Wessel and His Holiness the Dalai Lama.